Feelings are mixed, like/dislike Ranil Wickemesinghe is irrelevant – look objectively. His macho brashness [“We have taken it back into our hands”] referring to the joint US-Sri Lanka resolution is refreshingly transparent. Distinguishable from the officialdom of the previous administration that slept without implementing the LLRC report or its leaders who failed to hold the needed domestic inquiries. n “our hands” mean laws and rules are local. We can interpret laws/rules judicially without harming the nation. National interest associated with the reconciliation process is prime – none will disagree on that premise including the sensible section of the TNA, if any, except the extremists on either side that thrive on ethnic disharmony. Both administrations - Rajapaksa and Wickremesinghe - fail to play trumps in hand – the best of it is supposedly in the report contributed to by the international legal experts - a possible explanation for the laxity on the part of the previous administration - never thought they would have to leave office or the people will vote them out. Misread gratitude by over-indulging in the undesirable with the expectation of the wrongs being overlooked for having eliminated terrorism. Mahinda Rajapaksa won on account of the military victory for which his contribution is immense and lost because of the accompanying euphoria that unbalanced him and was unable to deflate and bring himself to his former self of a good-natured Mahinda. What does Ranil mean in his expression? If the resolution was co-shared at the time of compiling, he holds it is State-owned at the stage of implementation. Thankfully there is no spin or swing in that legitimate delivery. Surely the contents of the resolution cannot be foreign owned: nevertheless it is calibrated from abroad. That means we are compelled to play according to our rules, as the mechanism is domestic - good. The venue is at home – municipal laws apply - no law is applicable within a realm other than the law of war by the Geneva Convention. That is much to our favour. None can complain if we are within the law – our law. Is the UN asking us to drift away from our system of law and order when the court is held in our territory? They won’t as they can’t. Add to the count, the ‘hurrahs’ Americans bawled for Sri Lanka incorporated in the resolution – 28 hurrahs at a countdown – could they say they have no faith in such an acclaimed government? Just stick to your constitution and stand up for the country, man. Tell them you cannot amend without a majority that is unlikely to be forthcoming. Referendum…too emotional and sensitive, bound to lose, if it is sought to please the supposedly international community. Just stick to your Constitution and stand up for the country, man. "Predominantly the UNP supporters are also beneficiaries of the elimination of terrorism. Most benefitted are the Northerners - but how many will tell it loudly in public? " If trials against the military take place publicly with foreign judges, prosecutors, defence counsel (if affordable) and investigators that will determine public opinion with a free press in attendance. Sure, that will please those that voted for the TNA, but how will those that voted otherwise react? Predominantly the UNP supporters are also beneficiaries of the elimination of terrorism. Most benefitted, are the Northerners - but how many will tell it loudly in public? Is the flow of economic benefits worth the weight of the blood and toil of the men who fought the war? It’s the public that decides. Ranil inherited a judiciary that failed to act with the dignity of maintaining its distance from politicians. Two deservingly are lined up for impeachment. Don’t blame the judges, only blame more the senior lawyers who misdirect them. Sadly there is no law to punish them. 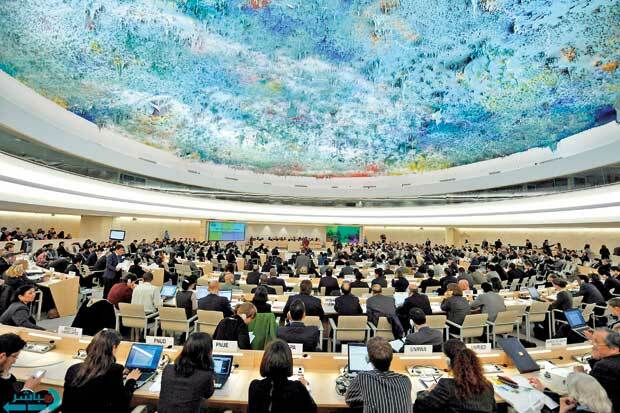 The most recent report released at the UNHRC takes its source material from Darusman – the jurists who failed to set foot in Sri Lanka but joined hands with India’s Justice Bhagvati to write a damning report on Human Rights on Sri Lanka relating to the Udulagama Commission. If Darusman is an honest jurist - true to law, true to his conscience - to retain his honour should have declined to chair a report on Sri Lanka on human rights as he is patently disqualified on the grounds of biased opinion previously expressed. This is the objection Professor G.L. Peiris failed to take on behalf of Sri Lanka. If he did so, UNHRC would have no report to depend on. Don’t blame GLP alone: there were others who did the thinking for him. Some try to be nationalists after hailing the CFA. Not Ranil: he never disowned the CFA; instead paid due penance for it by not contesting for Presidency twice by disqualifying himself on his own. "Both administrations - Rajapaksa and Wickremesinghe - fail to play trumps in hand – the best of it is supposedly in the report contributed to by the international legal experts"
Ranil remembers the historical failure of the Cease Fire Agreement (CFA) with the Scandinavians and the Indo - Sri Lanka Pact (relics of a UNP past) that cost the floating vote. Courageous to take on those two imposters, glory or vilification (cares for neither if he is a man of his own) at the critical operational juncture under an American Plan which details a hybrid system (we lost on it stupidly); American- Sri Lankan (AM-SRI) agreement is multi bonded by the unanimous passing of the resolution at an international gathering of the UNHRC session, hitherto was bi-party. USA insisted on a hybrid model. We did it at their bidding and are not shy to hide it and accept ownership making it the folly of this century. Give Ranil a chance to do it his way after the previous regime let the nation down by “doing sweet nothing” with their glib talk. They were given ample opportunities by the USA yet failed to implement the LLRC Report or its Action Plan. ‘Go ahead with the Action Plan’…. said Hilary Clinton to Minister G.L. Peiris and Secretary Lalith Weeratunga in Washington. Why didn’t they hold the promised inquiries transparently with the fundamentals of natural justice? Why were the few internal inquiries the LLRC selected not carried out? Let’s hear their defence or if not, at least an excuse. A point man makes many a point but does not answer the relevant point? . Lalith, did the Task Force make the Action Plan inactive? What is there to show on record that you implemented at least the main objectives of the Action Plan? Present it in your interest otherwise history will be unkind to you as the trustee of the Action Plan. It is never too late to show the good work rather than carry it stealthily to the grave. Both administrations - Rajapaksa and Wickremesinghe - fail to play trumps in hand – best of it is supposedly in the report contributed to by the international legal experts [Sir Desmond de Silva Q.C , Professor Sir Geoffrey Nice Q.C (UK), Professor David Crane (USA) ]. This panel consisted of internationally reputed ‘war crime’ lawyers and academics of recognition held in esteem by the UN as they were selected for the UN’s own prestigious assignments. In the experts’ report submitted to the Paranagama Commission by Sir Desmond and his team they were required to closely scrutinize the material in the controversial Darusman Report that was followed faithfully by the trio on the UNHRC appointed panel. Unlike the Darusman panel, the legal Advisory Council led by Sir Desmond heard the Sri Lankan side of the story and sorted the evidence with the material in the Darusman Report –invaluable to the UNHRC if they possessed it at the time of writing. "Lawyer Ranil Wickremesinghe will have to don his worn black coat and put aside the PM’s top-hat for a while and step in to save Sri Lanka or else we will be in the dock on war crimes because of the desire to play cheap politics by the Foreign Ministry." If so the value of the Report to which Sir Desmond and his colleagues contributed, is immense: both to UN and Sri Lanka. It carries the Sri Lankan perspective with tested evidence that was not available in the ex parte reports of the UNHRC and Darusman. It enables the member countries of the UNHRC to collaborate or contradict the material in the Daruman Report and to evaluate it against the material analysed by Sir Desmond’s team to reach a realistic conclusion whether in favour or against Sri Lanka. In short the flip side has come to the front. By this report the world will know the Sri Lankan stance before the evidence is presented at the inquiry or rather Sri Lanka’s case is revealed for the first time. It is mint material for Sri Lanka much on the credit column. What do our great Lions do? The Report of Desmond de Silva and his team of experts (distinct from the Paranagama Report on disappeared persons) were in the custody of the Government before the sessions in Geneva. The Government nevertheless neglected to submit it to the UNHRC when in fact there may have been a number of valued arguments deployed to cast a different light on the hostile Darusman narrative picked up yet again by the recent Report released at the UNHRC. Our Foreign Ministry keeps the conclusions in the report of the International Advisory Councils of Sir Desmond’s team (that names no names) in safe custody without disclosing our position to enhance the country’s reputation at Geneva instead sounding apologetic for crimes our military may not have committed. Indeed the bunglers in the Foreign Ministry drive Sri Lanka to a kennel when we had a chance of being a top dog after eliminating terrorism. Instead they leak stories of the fees paid to the experts in an effort to belittle them. Possibility is the fees for valuable services rendered were paid during the last regime. Lawyer Ranil Wickremesinghe will have to don his worn black coat and put aside the PM’s top-hat for a while and step in to save Sri Lanka or else we will be in the dock on war crimes because of the desire to play cheap politics by the Foreign Ministry. We can fly high without any shame if the conclusions of the International Advisory Councils of Sir Desmond’s team are released to the UN and the public.